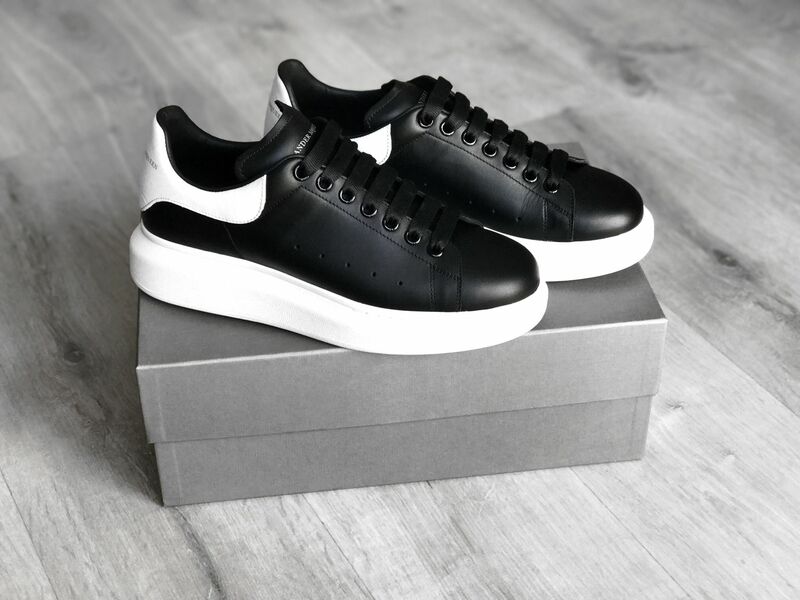 As I mentioned in a post not long ago (here), I want to start investing in high quality clothes and also sneakers. I have started with sneakers because I tend to change my mind too often about the clothes that I own, but also because I am absolutely obsessed with my footwear. I even visited Presented By in London even though I knew I wasn’t going to buy anything, just because I wanted to see some sneakers that are really difficult to cop in real life. If you are as obsessed as me, you should definitely go to that shop btw, as they literally have everything. 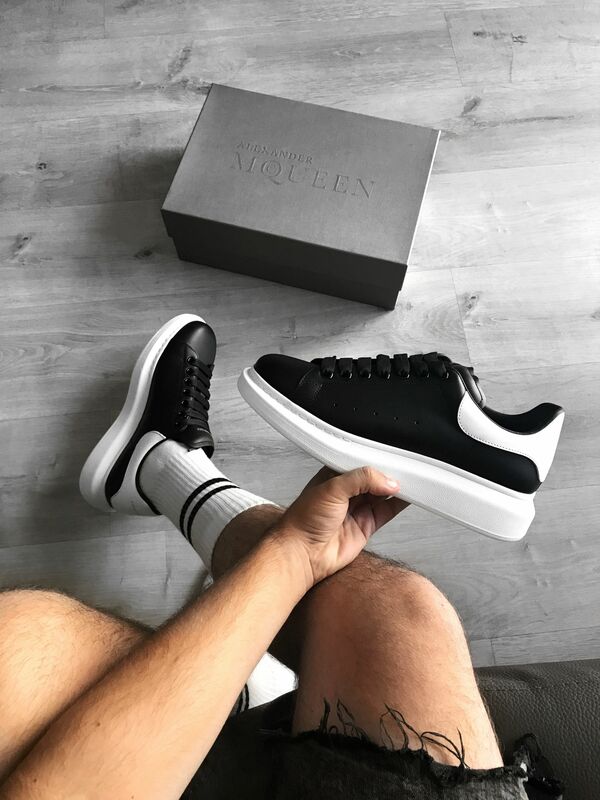 If you follow me on Twitter or Instagram, you may have already seen my latest acquisition, which is a pair of Oversized Sneakers from Alexander McQueen. I must say that they are the most expensive pair I own at the moment, even though I managed to get them with a small discount at Ssense. However, I do not regret the purchase at all, as I have been wanting them for over a year but I didn’t have the money nor the courage to actually buy them. The quality of the materials is absolutely incredible, as expected in designer items, and the design itself is gorgeous. The exaggerated sole is obviously my favourite bit and it makes me taller, so I love it even more. Alexander McQueen has always been my favourite designer and I think he’ll always be, so maybe I am a bit biased, even though I am sure it is not just me who has this opinion. It was quite hard for me to choose which colour I wanted to be honest, because there are lots of different ones to choose. I loved the white ones with the black details at the back too, but the ones I ended up getting (the ones in the photos, obviously) are my absolute favourite pair and I think they go better with my clothes. I have realised that all my shoes are now black and white, and I actually love that because you can combine them with almost everything. However, it’s true that maybe a pair with a bit of colour would be perfect too (maybe the next pair I buy?). As I said, the leather is really nice and I am also in love with the laces, as they are the softest laces I have ever touched. I would also like to talk about the shoe box, as I think it is quite important to mention it. 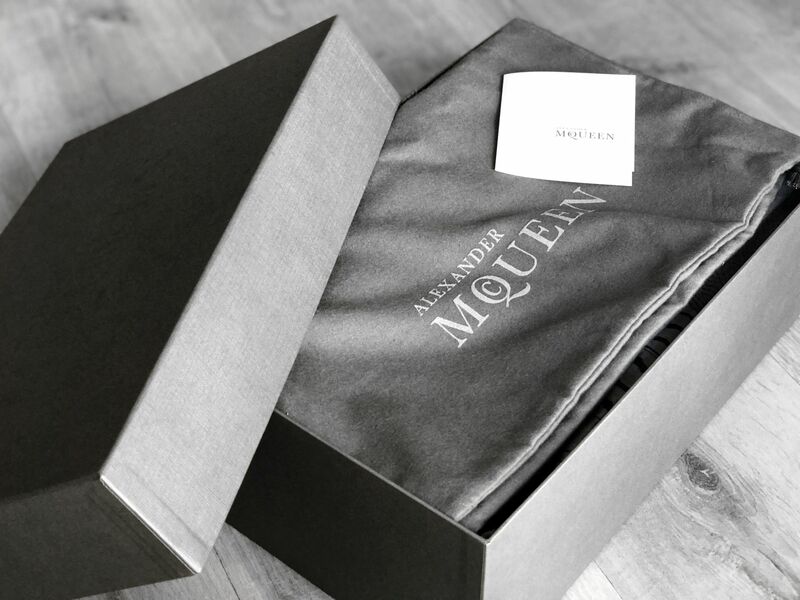 The box itself is grey and has Alexander McQueen written on top. 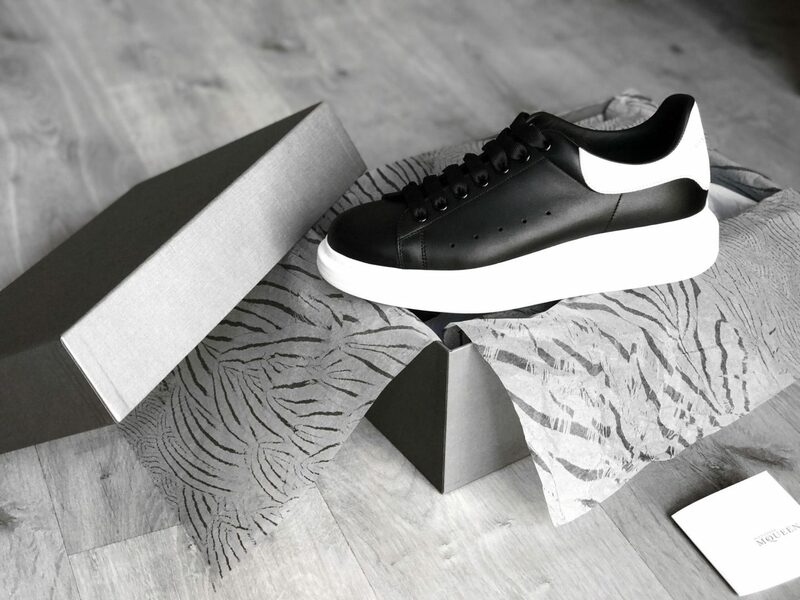 Its quality is better than what you normally get with cheaper sneakers, which is what everyone would expect. Inside the box you find a really nice and soft dust bag with Alexander McQueen on it too and a small card. The wrapping paper that you can find inside is really nice too, I loved the pattern. Then you can find the sneakers inside some plastic bags, which I have already get rid of. I am really happy with my purchase and I am definitely going to be wearing them quite a lot. I will actually show you how I style them soon in another post. I have actually heard a lot of different opinions about these sneakers since I got them, but what do you think? Do you like them? Please let me know in the comments below or just contact me on Twitter or Instagram.